Home � Disney Contests , Disney World News , Win Disney Vacation , Win Disney World Vacation � One More Disney Day Sweepstakes - Win A Disney World Vacation! One More Disney Day Sweepstakes - Win A Disney World Vacation! Is there a better way to start off your year than winning a FREE Disney World Vacation? Well you have your chance as part of the Disney - "One More Disney Day!" promotion. Disney is giving away one 5-day, 4-Night Disney Vacation for 4 people to either the Walt Disney World Resort or to Disneyland in California each day from January 1 - February 29, 2012. There is a separate drawing for each day and winners will be drawn only from entries received that day. On the last day ALL entries received during the duration of the contest will be pooled together for a Grand Prize drawing. Winner's choice of one of the two following trips:  a five (5) day / four (4) night trip for winner and three (3) guests (individually, "Guest") (collectively, "Group") to Walt Disney World® Resort near Orlando, Florida ("City 1") on Sponsor-selected dates ("Trip 1") consisting of the following elements for the Group: [a] hotel accommodations (one standard room/quad occupancy, including room tax) for four (4) nights; [b] 5-Day Magic Your Way Tickets with Park Hopper® Option, including access to Magic Kingdom® Park, Epcot® , Disney's Hollywood Studios® and Disney's Animal Kingdom® Park; [c] a Disney Gift Card with a value of one thousand dollars ($1,000), [d] winner's choice of one (1) of the four (4) following enhancements(collectively, "Enhancements"): (i) Disney's PhotoPass® - including one (1) Disney's PhotoPass® Book, one (1) Disney's PhotoPass® CD and other select Disney's PhotoPass® offerings; (ii) Select Disney Tours with a value up to $500. Restrictions apply; (iii) one (1) Downtown Disney shopping spree with a value of up to $500 or (iv) relaxing Spa experiences with a value up to $500 and [e] if winner's residence is located more than two hundred fifty (250) miles from City 1, round-trip coach air transportation on a Sponsor-selected carrier between a Sponsor-selected major metropolitan airport near winner's residence ("airport of origin") and Orlando International Airport; but if winner's residence is located two hundred fifty (250) miles or less from City 1, then round-trip ground transportation via a Sponsor-selected method between winners' residence and the hotel and [f] airport/hotel transfers if air transportation is provided. Approximate Retail Value ("ARV"): $6,300, which will vary depending upon point of departure and seasonal fluctuation of hotel rates and airfares, OR  a five (5) day / four (4) night trip for the Group to Los Angeles, CA ("City 2"), on Sponsor-selected dates to visit Disneyland ® Park ("Trip 2"), consisting of the following elements for the Group: [a] hotel accommodations (one standard room/quad occupancy, including room tax) for four (4) nights; [b] 5-Day Park Hopper® Tickets for admission to Disneyland® Park and Disney's California Adventure® Park; [c] a Disney Gift Card with a value of one thousand dollars($1,000); [d] winner's choice of one(1) of the Enhancements; [e] if winner's residence is located more than two hundred fifty (250) miles from City 2, round-trip coach air transportation between a Sponsor-selected major metropolitan airport near winner's residence ("airport of origin") and a Sponsor-selected major airport in or near City 2; but if winner's residence is located two hundred fifty (250) miles or less from City 2, round-trip ground transportation via a Sponsor-selected method between winner's residence and the hotel and [f] airport/hotel transfers if air transportation is provided. ARV: $6,000, which will vary depending upon points of departure and destination and seasonal fluctuation of hotel rates and airfares. Total ARV of all Prizes: $378,000. 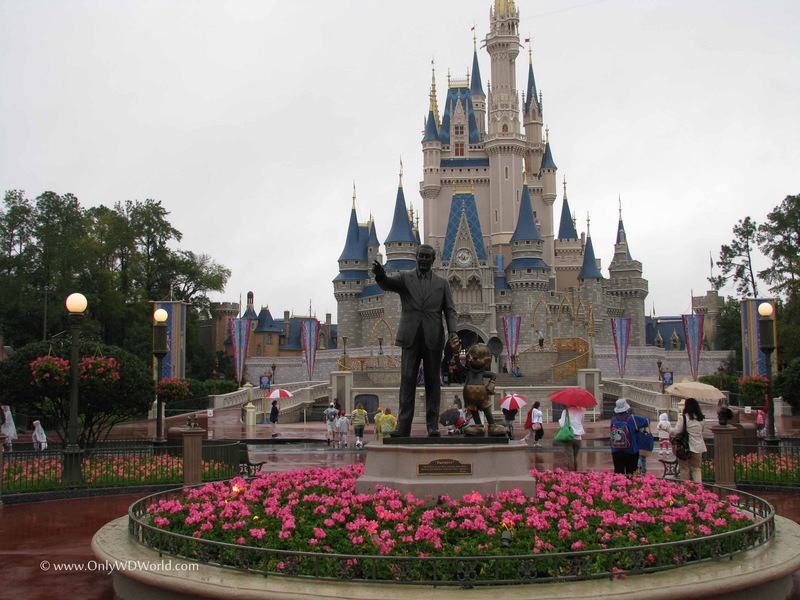 Win A Disney Vaction - Enter Now!You can enter by Texting and Entry or through On-Line entry. Only one entry per person per day. 1 comments to "One More Disney Day Sweepstakes - Win A Disney World Vacation!"